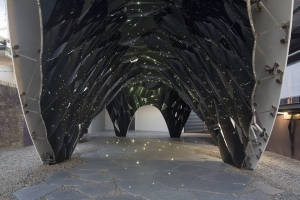 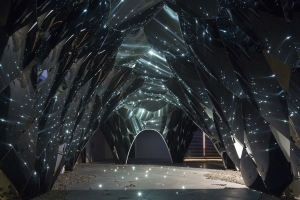 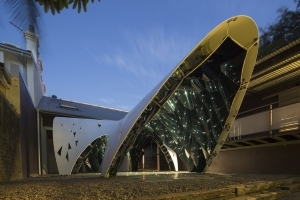 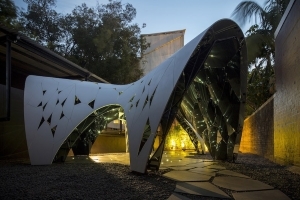 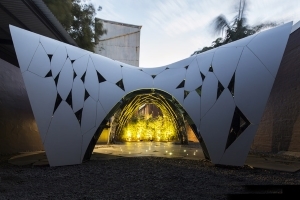 Robotically-produced Corian panels were joined to laser-cut mirrors to create the curves of this pavilion Sydney's Sherman Contemporary Art Foundation, designed by Australian studio AR-MA. 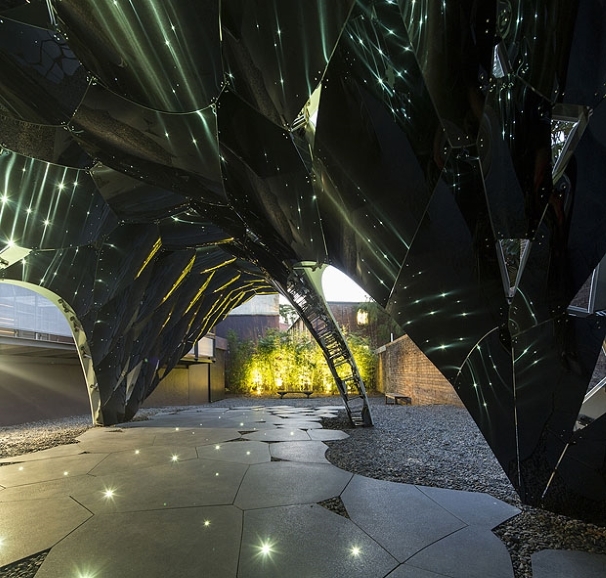 AR-MA's Trifolium design was the winning entry to the second edition of the annual Fugitive Structures architecture competition, which invites emerging or mid-career architects to propose designs for a structure that employs cutting-edge technologies. 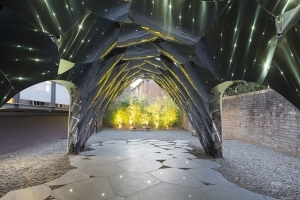 Fibre-optic cables offer lighting within the concrete paving slabs laid underneath, which have an irregular pattern that echoes that of the steel panels, and they create reflections on the structure's stainless-steel inner skin.